No hype. No glossy ads. Unbeatable value. 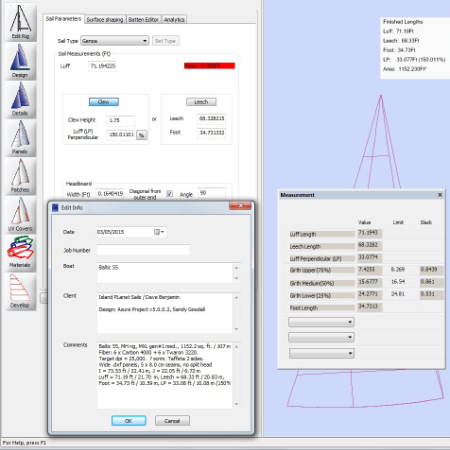 Sailmaking redefined for today's sailor. Have You Recognized the Shift? Getting to the next mark or anchorage requires you to recognize shifts (and veers), correct? The same applies for choosing a sailmaker. When Island Planet founder Dave Benjamin was a kid, buying a new sail entailed a pleasant visit to the local sail loft, where a sailmaker stood pipe in mouth eyeballing a luff curve…. The first big shift combined advances in sailcloth and using computers to design sails. The pipe clenching sailmaker went from shifting a lofting batten on the loft floor to tapping those changes on a keyboard. 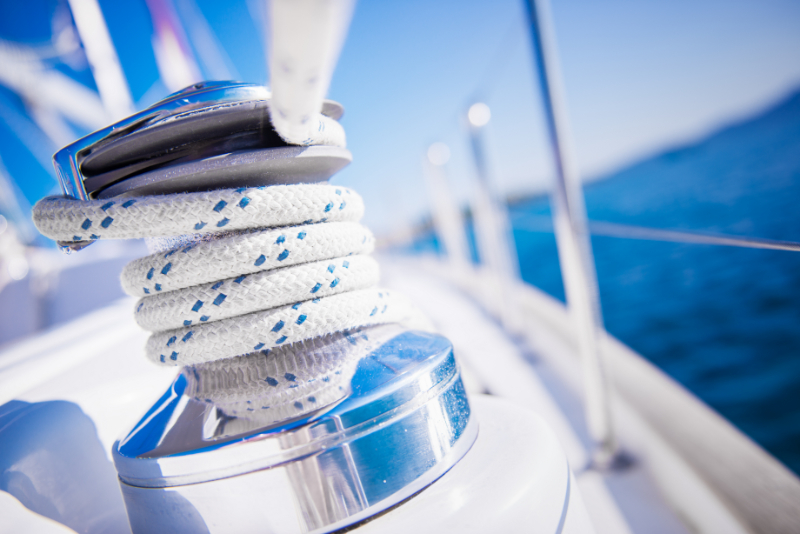 Sailmakers wanting access to that cutting edge technology banded together in franchise groups. Globalization leveled the playing field between sailmakers large and small. 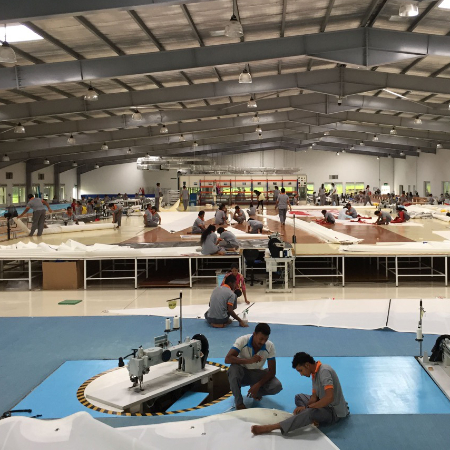 Nigel Calder, a well-known marine author, remarked that sailmaking had “entered the era of established brand names tied to mass production facilities…no different than Nike or Sony, ” after a visit to a 200,000 square foot production loft in Asia. The rich history of sailmaking is woven into the heart of Island Planet Sails. President and Founder Dave Benjamin has refined the process of purchasing sails from afar, and married the efficiencies of a large scale production loft with the customer engagement of a local operation. Since 2004, Island Planet Sails has delivered the best value in sails. No hype, no glossy ads, unbeatable value has been our mantra since the beginning. We serve our fellow sailors worldwide. 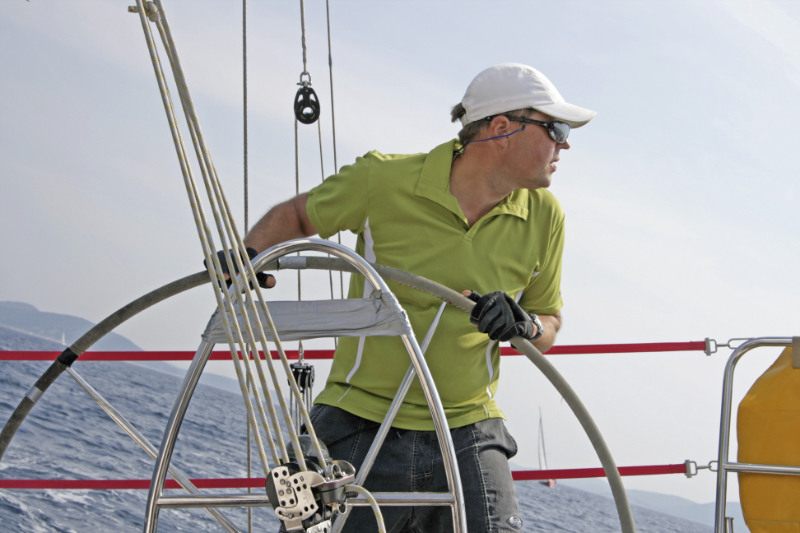 Dave is a lifelong sailor with a passion for marine conservation. He grew up sailing on San Francisco Bay and has owned over a dozen boats ranging in size from 12 to 48 feet. He has cruised and raced on both coasts of the United States, Mexico, and Southeast Asia. His current boat is a vintage Swedish IOR half tonner. 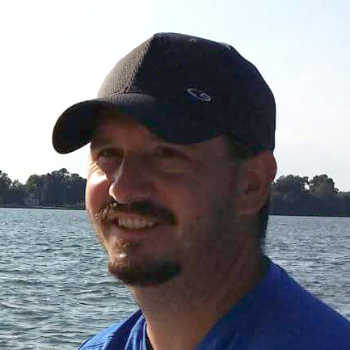 Matt has decades of sailmaking experience and has managed production lofts for some of the biggest names in the industry, including Quantum and Ullman. In addition to racing offshore, around the buoys and in various one-design classes, Matt has cruised between Maine and the Bahamas on his family’s Passport 40. As a merchant mariner and a lifelong sailor, I greatly appreciate the honesty, integrity, and value that I have consistently received from IPS. As a result, I give Dave all of my personal sail related business and refer him to friends and colleagues at every opportunity. I offer my highest recommendation for any business you may be considering. The main sail I got from you is still in great condition after being up almost all the time and crossing the entire pacific from Panama to the Philippines. I’m delighted with it. Definitely a good investment, this is a real cruising sail, it is exactly what I wanted-tough and neat. I used three main sails for my circumnavigation and this one is the best by far. Thanks very much for the beautiful #3 for my C&C 38. It fits perfectly and produces amazing power in 15kts and up. Before, we’d carry our #2 until the rail was in the water, now we can sail flat and fast! This sail was a tremendous value. I’m more than pleased; I’m delighted!